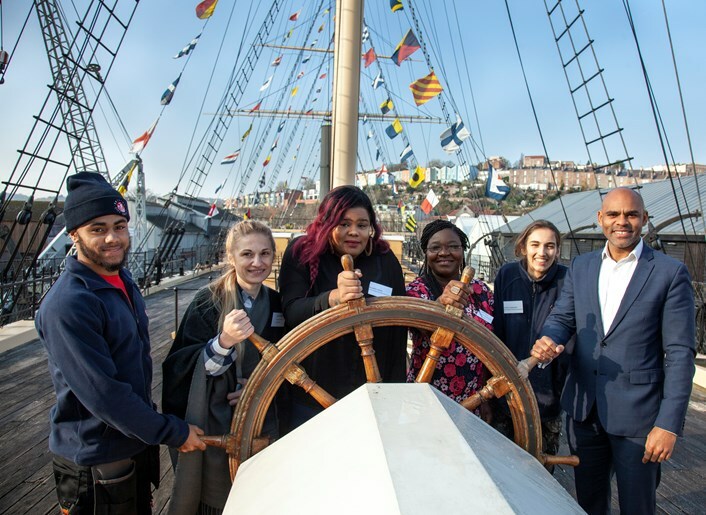 Skills Minister Anne Milton MP is visiting Bristol today to join Mayor Marvin Rees and representatives from four other cities delivering the government’s Apprenticeship Diversity Hub project. The project is a pilot scheme designed to broaden the appeal of apprenticeships to more diverse audiences. It includes Bristol alongside Birmingham, Leicester, London and Manchester. Locally it is also supported by the West of England Combined Authority (WECA). During her visit Anne will hear about each city’s progress. In Bristol much work has already been done through the Learning City Partnership and Bristol WORKS, an initiative set up to match schools and young people with employers and training to make sure all students can experience work. In the last school year almost 2,500 opportunities were created through the WORKS project. The council has also improved the diversity of apprenticeships working within the organisation, with BAME candidates, care leavers and disabled people making up a quarter of new recruits since April. Part of the work taking place is also looking at ways to link employers with potential apprenticeships and employees online, including how to develop online portfolios matching skills with opportunities. “The 5 cities project which we launched earlier this year is all about making sure apprenticeships work for everyone. It’s about increasing the diversity of apprentices around the country. It was fantastic to be in Bristol to hear from Mayor Rees and all those from Birmingham, Leicester, London and Manchester about the amazing progress they are making. “Apprenticeships offer people the chance to earn while they learn, gain new skills and get on in a career. With options to train right up to degree level in a range of amazing jobs from town planners to aerospace engineers, there is something for everyone. As well as focusing on apprenticeships, work is also taking place across Bristol to improve the diversity of leaders in the city. The Stepping Up programme, supported by the City Office, is working to improve the representation of BAME employees in senior leadership roles across the region.